Liberals have worked very hard to rewrite history. They know if hard-working Americans understand America’s past and how America became so prosperous, the lies, twists and distractions they present will not be enough to bury America’s greatness. George Washington ably parries Barack Obama’s thrust in “Washington’s Sword” by Barbara Allen, an original painting entered in the Power Line Prize competition. were, each and every one, brilliant, eloquent, and worldly men well-read in the Ancients and particularly the writers and thinkers of the Enlightenment that lauded Reason over all. They were men of science and intelligence, but also men of faith. They were not all Christians, but even in their religious disagreement, they agreed that for our Experiment in Self-governance to succeed, men and women must be committed to self-betterment. They understood that liberty can only be upheld by men and women of character. religion and morality are indispensable supports. 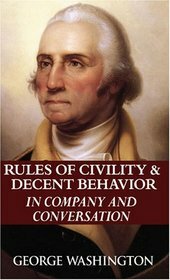 By age sixteen, Washington had copied out by hand, 110 Rules of Civility & Decent Behavior in Company and Conversation. They are based on a set of rules composed by French Jesuits in 1595. He sought to memorize them and make them a part of himself. If you browse them today, some seem strange, yet the majority of them are still worth working toward. General Washington counted himselfinadequate as a military leader. He counted himself modestly as a businessman, so it isn’t surprising he saw himself inadequate to assume the Presidency of our fledgling nation. It was Washington’s humility that drove him to his knees to seek the help of Providence! Contrast this with the arrogance of President Obama. His entire philosophy, the beliefs behind his policies and overall agenda, is that he and his elite sympathizers know better than We-the-People what is the duty or responsibility of government. Faced with the Benghazi incident, 6 months of investigations have not yet uncovered exactly where President Obama was wile Americans called repeatedly for help. Two Russian bombers, capable of carrying nuclear cruise missiles, circled the US island of Guam in the Western Pacific this week. U.S. Air Force F-15 jets scrambled from Andersen Air Force Base on Guam to intercept the bombers whilePresident Obama went golfing. General Washington, and the Congress elected with him, wanted only to fascilitate our individual pursuit of happiness, to serve the needs of the public, not the wants. They understood the essence of tyranny is government reaching into the daily lives of the people in an attempt to exert control. You might remember that after the brilliant leadership during the long, agonizing years of the Revolutionary War, both the public and the sitting Congress attempted to crown General Washington King of the infant nation. It is extraordinarily difficult for us today to relate to such humility in a true public servant. For the most part, those WE have sent to Washington DC as our Representatives are anything but humble, and certainly not Public Servants. It is a foreign concept. In fact, the whole idea of ” service” has been trompled and trampled, twisted and redefined with a self-serving theme. Audacity of hope, or arrogance of power? “Webster’s defines arrogance as the “offensive exhibition of assumed or real superiority,” an “overbearing pride,” an “imperious” nature. One only has to look to our government to find the embodiment of arrogance — in our elected officials, our Congress and our president. Can you imagine General George Washington coming on the scene, riding into DC to address Congress today? None loved him more than the men who served under him in the unimaginable years of war. Yet, with great grace and humility, General Washington reminded Congress of the reasons for the War they had endured. He reminded them of the tyranny they had experienced and the lives sown for Liberty’s cause. How does this compare with the reports from those who have worked with President Obama? OK, so is this PROGRESS? Evolution? Or is it moral decay that has brought us to the eve of destruction? take the throne General Washington refused? Could our public schools be better run by state and local citizens? If people really understood they would know that Obama is nothing but a second rate, lying, narcissist. 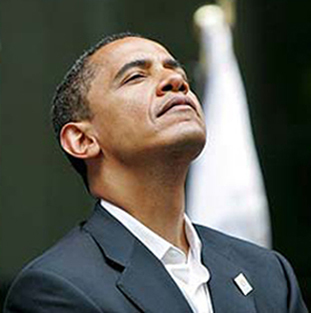 His audacity is his arrogance combined with his intention to destroy our country as we sit, ruminate and watch. He does not amount to Washington’s nail clippings. Black history month? Martin Luther King’s Birthday? We should all get Washington Birthday ‘flu.’ For about two weeks. Not only would it cause a ripple in the hog trough in DC but some in DC might get the message.